I got this one at Ten Ren, in Chinatown, New York City. Ten Ren’s Third Grade Pouchong consists of quality tea leaves from northern Taiwan. Pouchong along with Tung-Ting Oolong tea are among Taiwan’s famous teas. Pouchong tea originated in Taiwan. 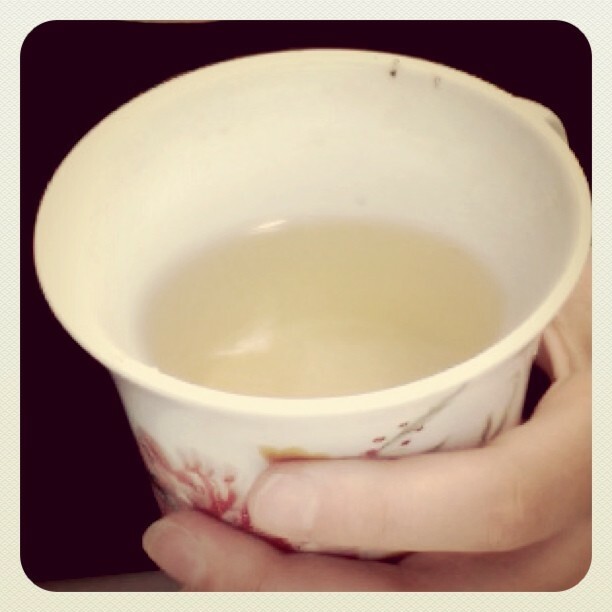 The steeped tea from Ten Ren’s Third Grade Pouchong has a light golden-yellow hue and a faint honey floral aroma. The taste is a sharp and full bodied with a roasted quality and the aftertaste is mild.